You might need a pal to help you finish Little Jewel's sandwiches. Opening a sandwich shop in the sight line of Philippe the Original takes nerve. Good thing New Orleans native Marcus Christiana-Beniger has plenty to spare. 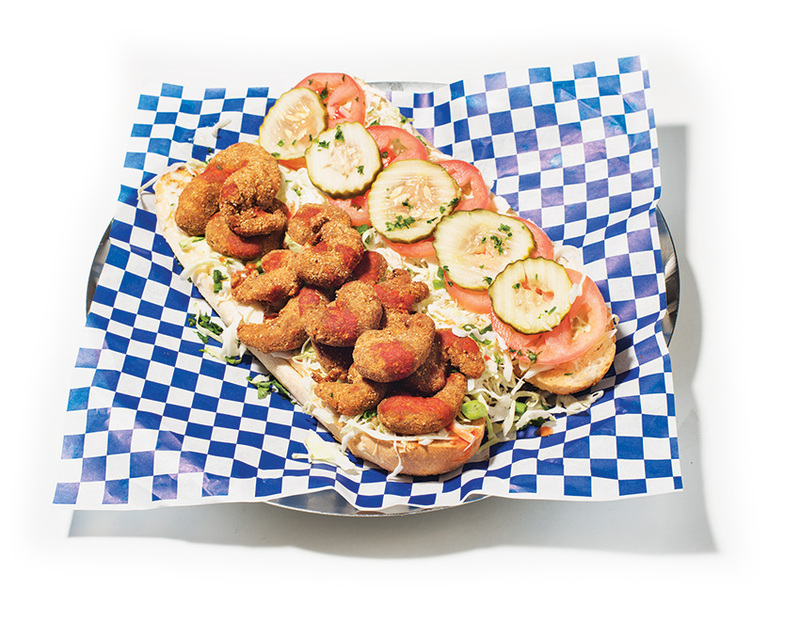 The chef’s Big Easy-inspired Little Jewel of New Orleans grocery and deli is serious about its Creole and Cajun flavors, slinging overloaded plates of spicy crawfish pasta, roux-thickened “gumbo-laya,” and house-made boudin sausage. From the provenance of the French bread (Leidenheimer Baking) to the brand of the spread (Blue Plate mayo), the neon-lit storefront makes good on its promise of bona fide bayou cooking. Hot Deal: You’ll need a buddy to finish the half muffuletta ($10), a two-fisted affair layered with Italian meats, provolone, mozzarella, and a tangy green olive spread on a toasted sesame roll. Try This: The Surf and Turf Po’boy ($15) is a ten-inch beast that bursts with fried shrimp and gravy-soaked roast beef. Polish it off with banana pudding ($4.50)—if you can. Next articleWill Slow and Steady Progress Add Up for Eric Garcetti?